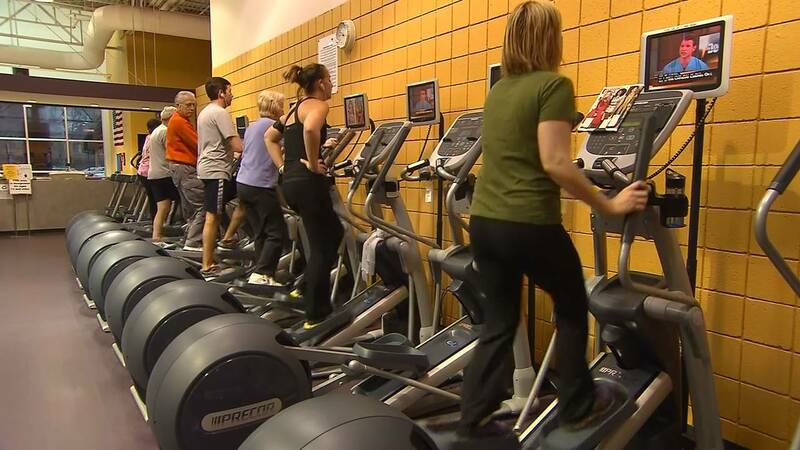 (CNN) - Not all wellness programs are created equal. Given that we spend so much time at work, some workplace wellness programs have been proven to be beneficial to employees' health. Group activities, meditation classes, for example, can do some good when made accessible to all different kinds of workers. But problems arise when these programs place all responsibility on the individual, says Stuart Flint, senior research fellow in public health and obesity at Leeds Beckett University. Some offer financial incentives, like adjusted insurance premiums, upon reaching certain goals. But these are goals not all employees can achieve. "We're told simplistic messages about obesity — that it's easy to change, and people should take more responsibility," Flint says. "But that's simply not the case. Those of us who have read the evidence will see obesity is extremely complex." Flint's research shows that in some cases, such programs may actually promote weight bias and discrimination in the workplace. That feeling of exclusion may be most deeply felt by employees of size. When Laura Bogart first heard about the wellness program at her previous job as a technical writer, she couldn't help but roll her eyes. The program included exercise classes, health screenings and wellness coach meetings, but Bogart remained skeptical. As one of the largest people in her workplace, she knew she'd be singled out for conversations about diet and exercise. She also says she questioned the program's focus, one that seemed to prioritize an unrealistic points system and mandatory health screenings. "I found that really invasive," she says. If wellness programs promote damaging stereotypes about weight and size, they can also fuel a negative cycle. Other employees may then internalize those messages and perpetuate them. "The more we assign blame to individuals, the more likely we are to go on and stigmatize people," Flint says. Bogart, now a freelance writer, ultimately chose not to participate in her wellness program, primarily, she says, because it didn't feel as though it was designed with people like her in mind. Because her program included financial incentives for health insurance plans, she ended up paying more than some colleagues because of it. "It took me a long time to get to the point where I say, 'The problem is not with me. It's with the culture. It's with society,'" she says. "I have fought too hard to give this [self-confidence] up. And I said, 'It's not worth it.'" As Flint cautions, some programs could hurt the physical and mental health of overweight and obese employees. "It's important for leaders or people who are implementing these programs to be aware that employees, especially employees with obesity, might feel self-conscious or targeted," says Rebecca Pearl, a psychologist and assistant professor in the department of psychiatry at the University of Pennsylvania. "If it's creating an atmosphere in which other employees are commenting on each other's weight or eating choices, we should be conscious of the potential downstream effects of being stigmatized." Preventing such outcomes starts at the very beginning of a wellness program, researchers say. When HR departments and wellness professionals are first even drafting these programs, they need to make sure they've done the research. Studies show weight loss competitions don't necessarily encourage healthy habits. Sometimes, they push people to try unhealthy ways of losing weight, and encourage other people to view obesity as something controllable. "We might have indirect control over our weight, but you can't just decide to change the number on the scale," Pearl says. "But we do have control over health behaviors, so I think that's something that needs to be considered. Workplaces need to decide what they want to reward: the number on the scale or healthy behaviors?"